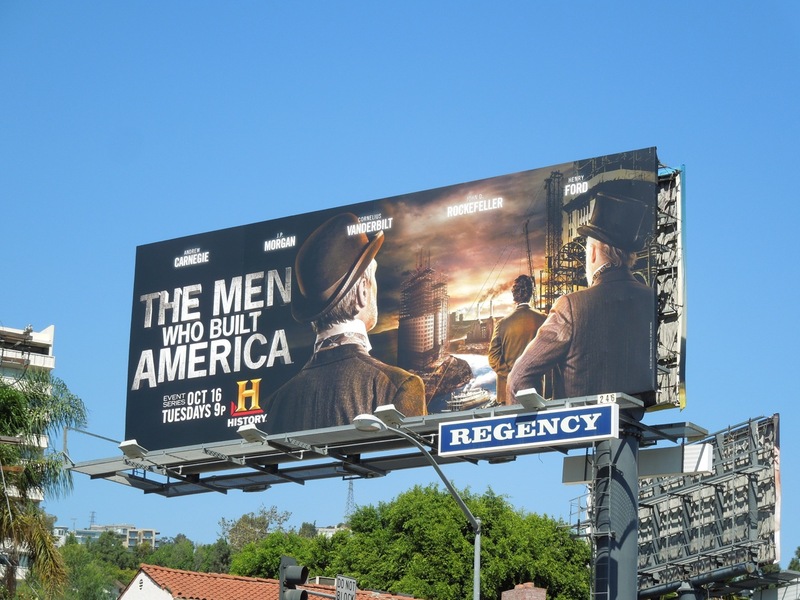 With it being an election year in the U.S. and lots of talk about entrepreneurs, small businesses, economic upheaval and generating jobs, it seems like it's the perfect time for a series about The Men Who Built America, courtesy of The History Channel. 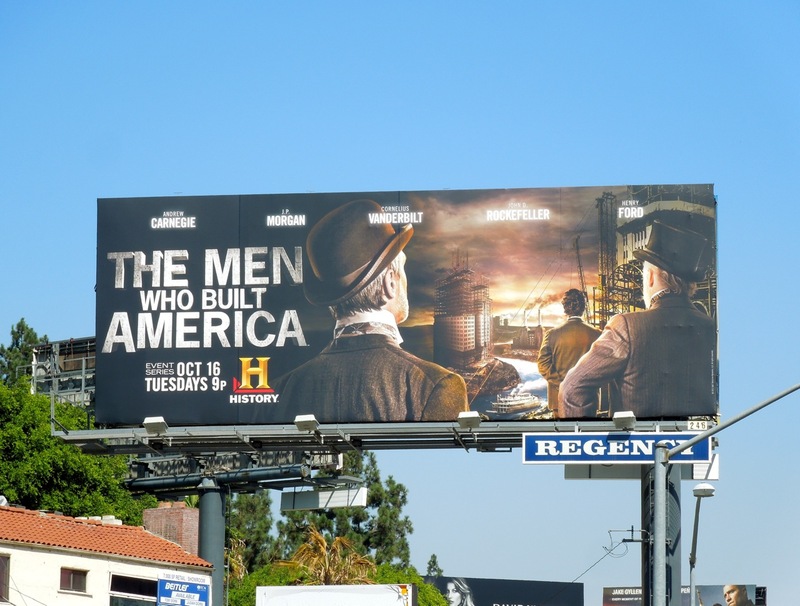 Henry Ford, John D. Rockefeller, Cornelius Vanderbilt, Andrew Carnegie and J.P. Morgan helped forge the American Dream and their legacy transformed the automobile, oil, steel, rail, shipping and finance industries from the Civil War to the Great Depression and World War I. 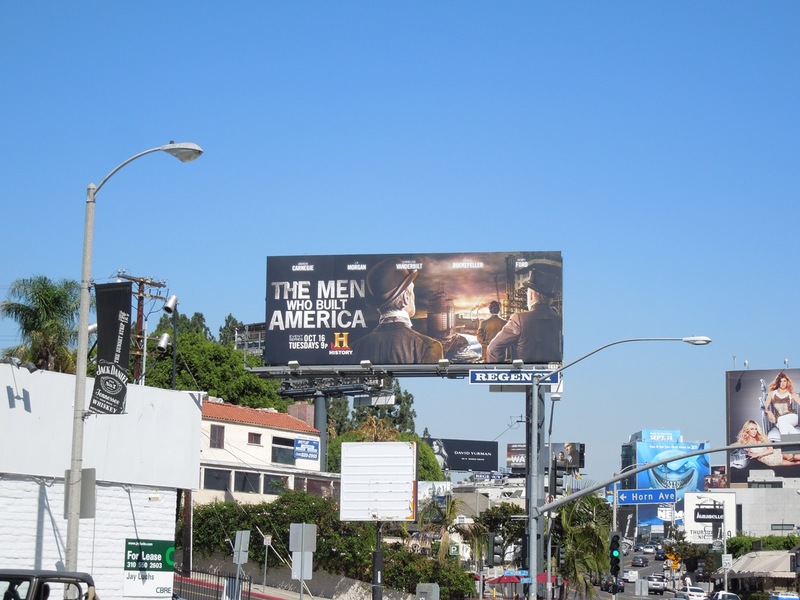 This evocative billboard for the new event series chronicling the history of these great pioneers was snapped along Sunset Boulevard on September 14, 2012.